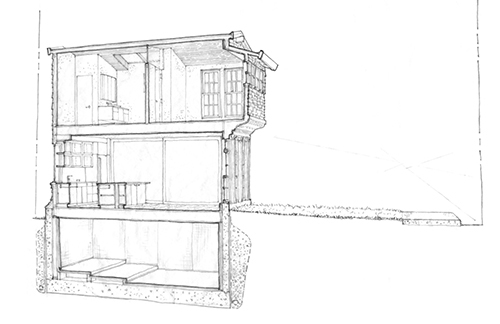 Hand drawing is not just a holdover from architecture’s pre-digital past. Even today, hand-drawn sketches are an indispensable tool for communication, problem-solving, and rapid exploration of new ideas. 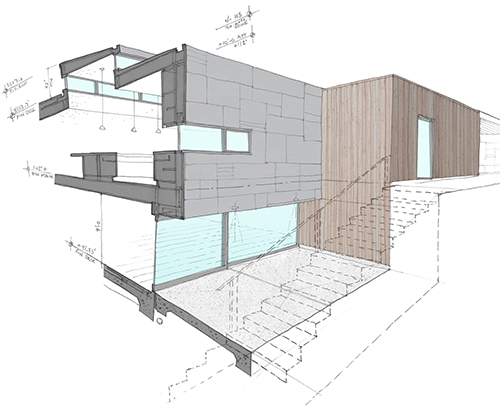 Greg Corbett, Architect at Mark English Architects, shares hand drawing techniques for creating 3D illustrations during project development. 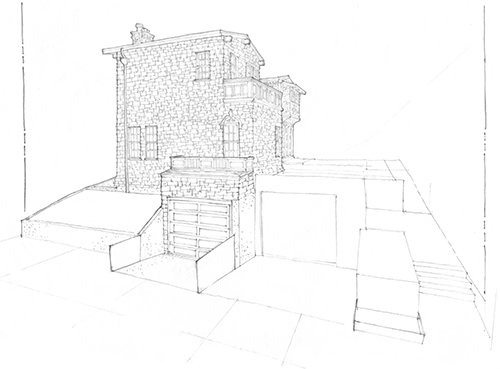 In recent decades, the architectural profession has moved away from hand drawing to an increasing reliance on digital renderings and CAD drawings. There are times, however, when computer-generated drawings are actually more expensive in terms of time, and a hand sketch can convey understanding more effectively than a computer-generated drawing. 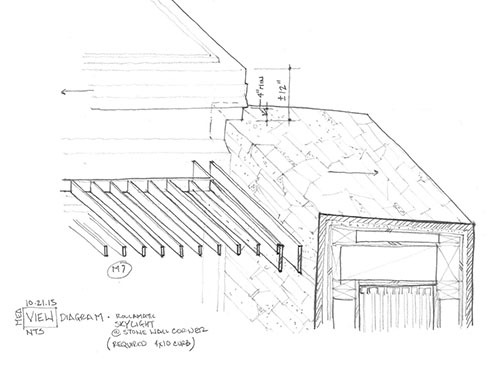 Architectural drawings, renderings, and other instructions must communicate effectively in order to forestall costly mistakes. 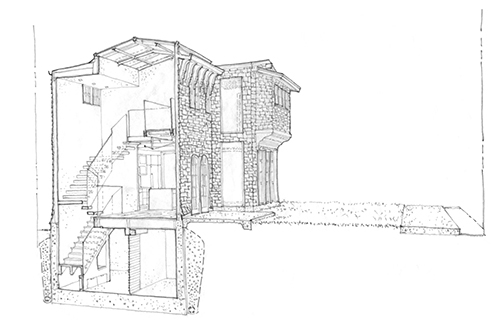 Architect Greg Corbett observes: “It is an advantage to builders if they can understand a complex detail at a glance by looking at one drawing, as opposed to looking at several drawings and piecing the detail together.” Isometric hand sketches can be a quick and effective tool to illustrate ideas at any stage of the design and construction process. 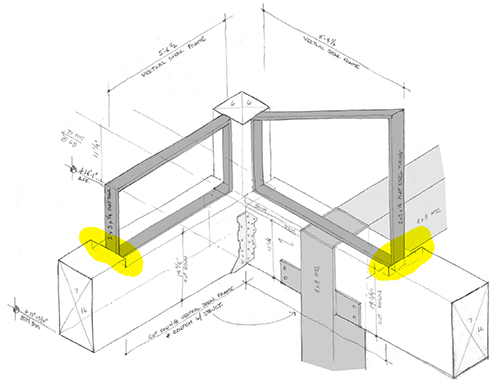 Another example shows a corner with clearstory windows. 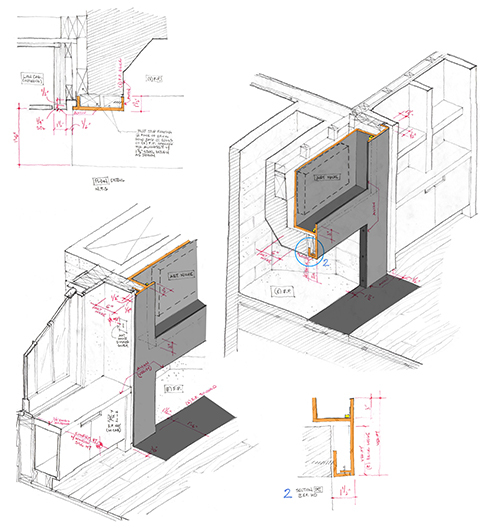 “To understand the structure and interrelationship of elements at this clearstory window corner, one has to look at four different structural drawings and details as well as the window jamb, sill, and head condition,” explains Corbett. First, the drawings help the designer to work out a problem. 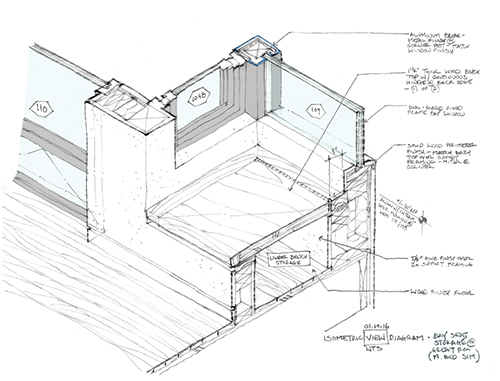 Second, these drawings communicate intent to the fabricator quickly. 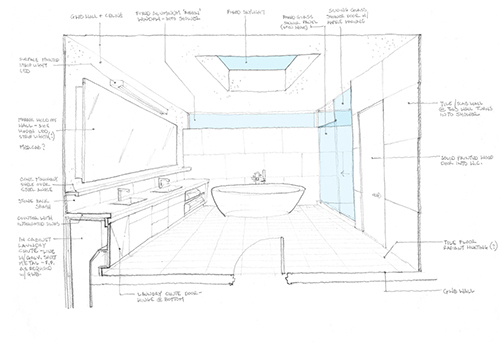 Third, the drawings can illustrate design ideas for an owner or client. 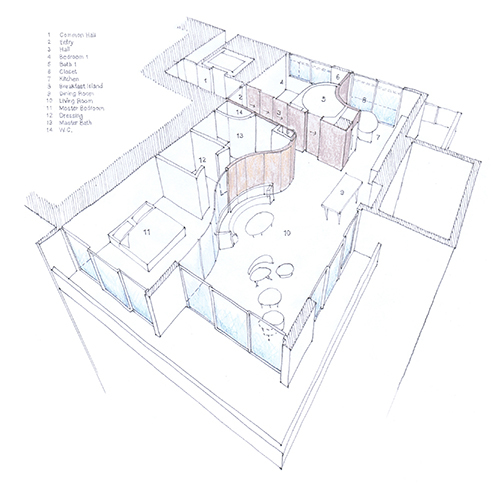 For clients, isometric or perspective hand drawings can help them understand what is being built. 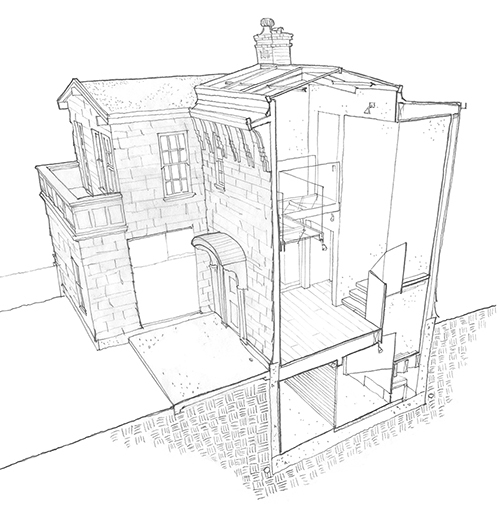 In this case, a drawing conveys a sense of immediacy, and creates in the clients’ own mind a sense of place. 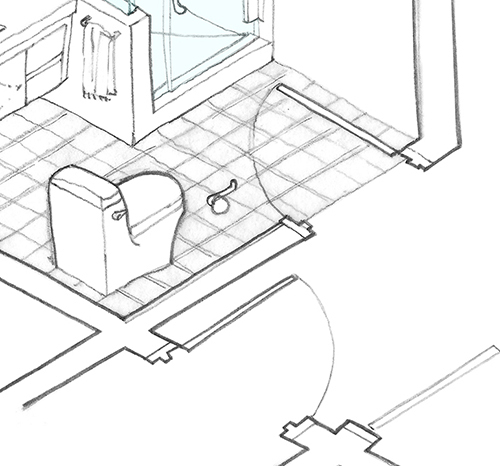 The basic tools for these isometric sketches are simple graphite pencils and trace paper. 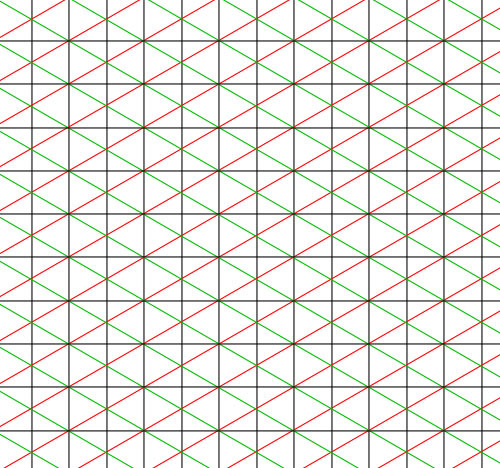 Use a sheet of trace paper similar to this item to make your drawing. You can also purchase this at art stores. Corbett observed that the more of these 3D drawings that he does, the easier it becomes to visualize in 3D without as much mental effort. We speculated together that it could be the motor engagement, i.e., the actual physicality of the movements of hand drawing, that somehow reinforces a sense of human agency in a way that machine interactions do not. The ability to master the world by working with our hands is, after all, one of the key elements of being human. What about using a ruler? “A shaky line actually helps,” says Corbett. Line weights also pop out a lot more in hand drawings, especially with graphite. 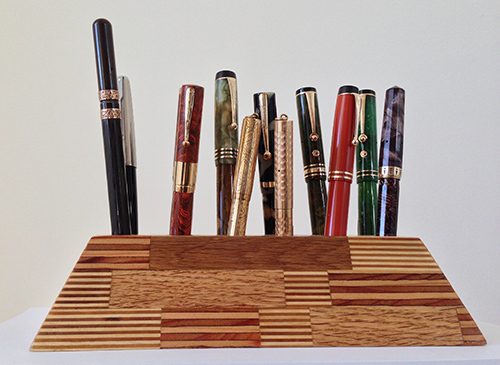 Varying line weights can be done on the computer as well, but takes longer than just drawing it out on paper using a thicker lead. 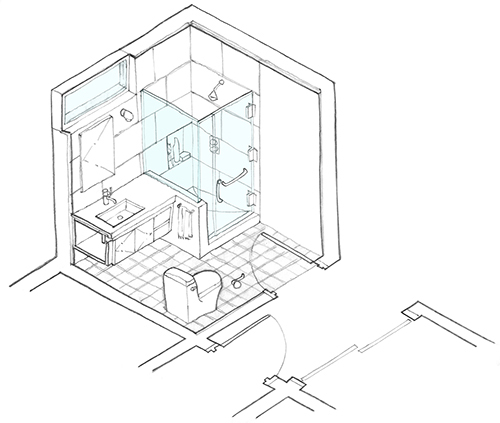 Corbett uses a one-point perspective for smaller spaces such as bathrooms, to show positioning of fixtures and other elements such as towel racks. 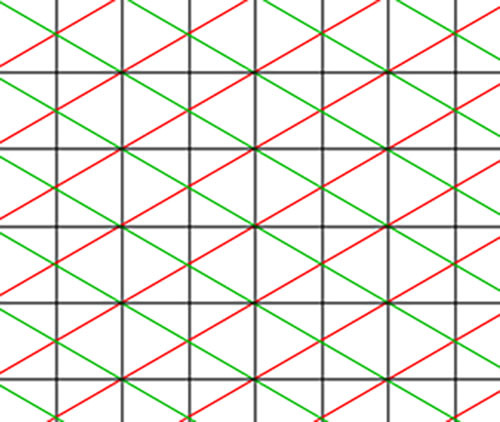 Two-point perspective grid paper (download: 2p-grid) is also useful for tracing. 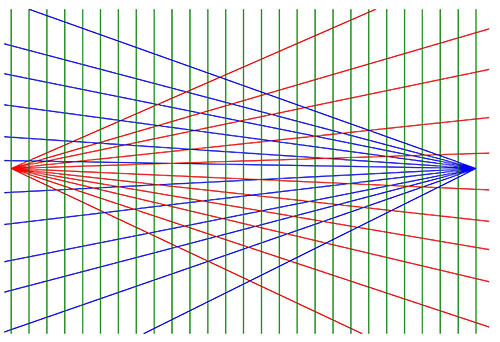 A two-point perspective trace can help visualize a three-dimensional structure, such as a building, unfolding in space. Machine renders are good for setting custom perspectives. 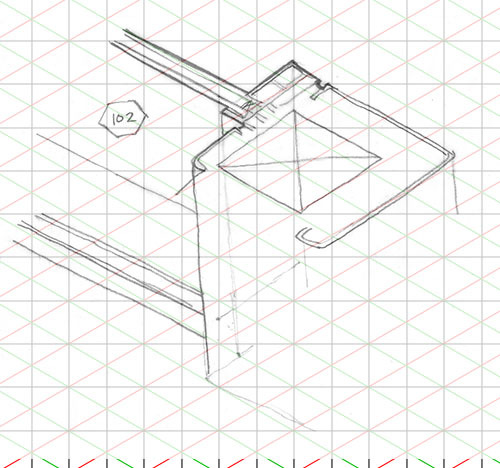 The designer can then trace over the machine render, to explore additional details. 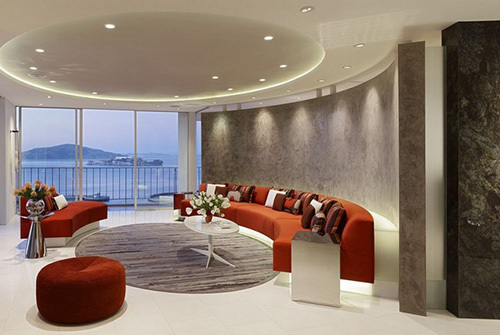 Cross sections or “sections” are often done to show the composition of materials inside a wall, floor, or ceiling: insulation, structural components, layered surfaces, finishes, and other non-visible features. 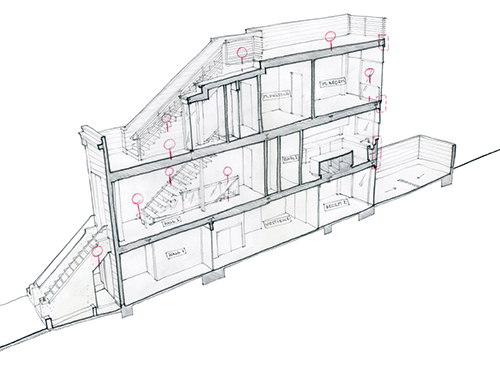 A designer can also use 3D cross sections to show the composition of place inside a home. 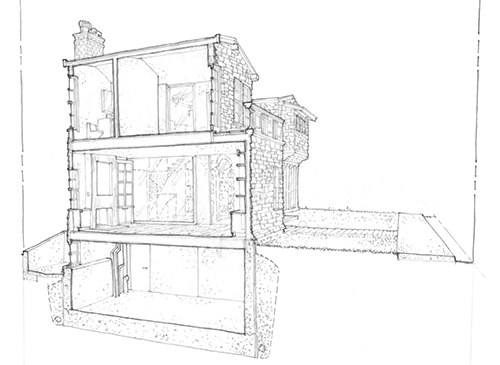 Multiple cross sections through the same space can show a progressive series of views, and can be used to develop areas of an entire house. 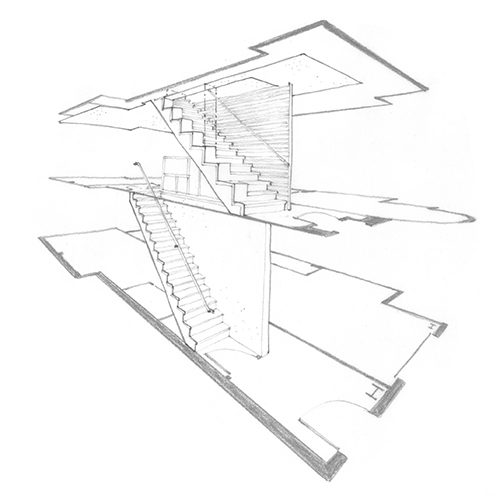 The following project is a three-story house with a deep basement and a central spiral stair. “The central stair was tricky to show,” says Corbett. Further articles will explore specific problem-solving examples.